Mustang Park comprises a new warehouse/industrial development with units available from 47,890 to 171,180 sq ft approx. Units will be built to an institutional specification with the following salient features: Up to 12m eaves; Dock & level access loading; Up to 50m yards; 5 mva availability immediately; Planning for B1/B2/B8; 24/7 hours of operation. Daventry is within 6 miles of the new M1 to A45 Daventry Development Link Road. The link road is under construction with completion due Summer 2018 and will provide improved and rapid access to J16 of the M1. 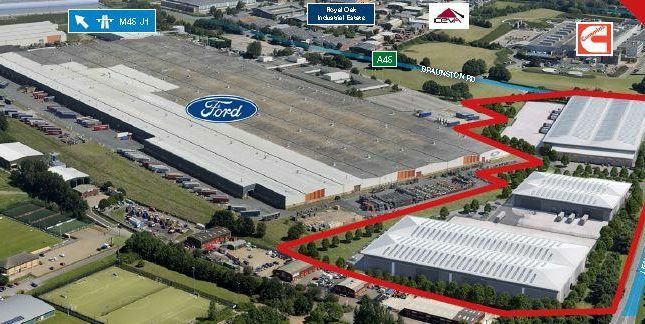 The site enjoys excellent local and national communications and major businesses, occupiers include Ford, Amazon, xpo Logistics, dhl, ceva and Cummins.